Bulletstorm is a game out of time. Originally released in February 2011, the game's acrobatic gun play, point-focused executions, and over-the-top humour marked it out as a quintessential Twitch shooter. There's the problem, though: Twitch wasn't founded until July 2011, several months later. The game was generally favoured by critics on launch (82 percent on Metacritic), but Games for Windows Live integration and the fact it never popped up on Steam limited its audience. 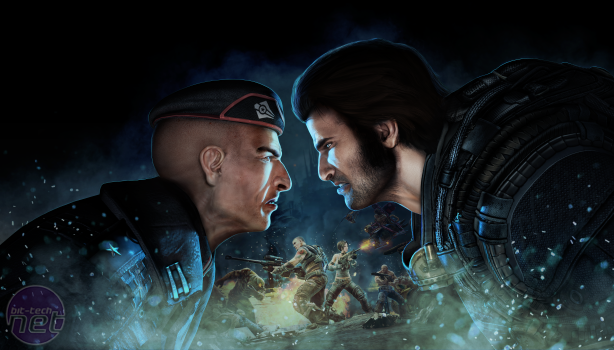 What I'm saying is that the time is right for a re-release of Bulletstorm. Luckily, that's happening with Bulletstorm: Full Clip Edition. 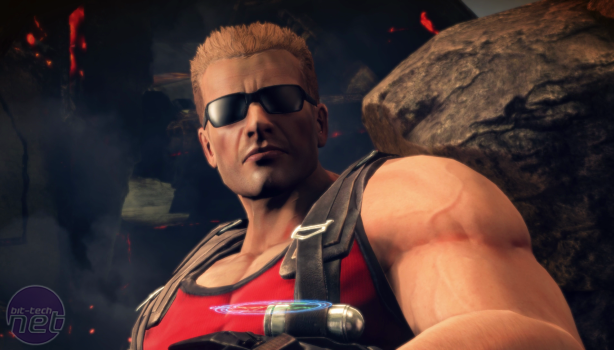 It features Duke Nukem as a playable character with his own script, and I've played it. Would you like to know more? We played Bulletstorm: Full Clip Edition on a PS4 Pro, which meant we could see the freshly made 4K textures. 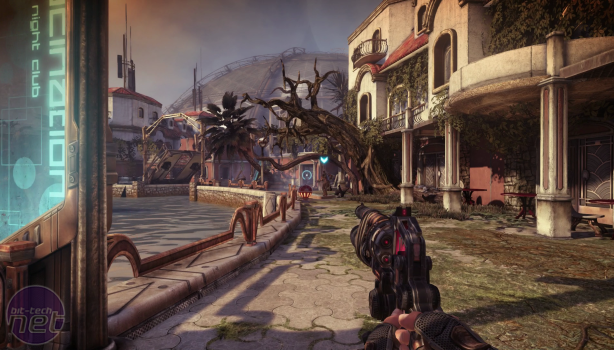 Bulletstorm: FCE looks like a new release, and everything glistens and shines like you would expect from a 2017 title rather than affirming its 2011 roots. A PR tells me that all of the textures have been completely redone in 4K, which sounds impressive, but the most important thing for me is that it looks lush. The skybox is gorgeous, and the flickering flames from a flare gun as it embeds into the chest of a shirtless bandit and he spirals away into the sky? 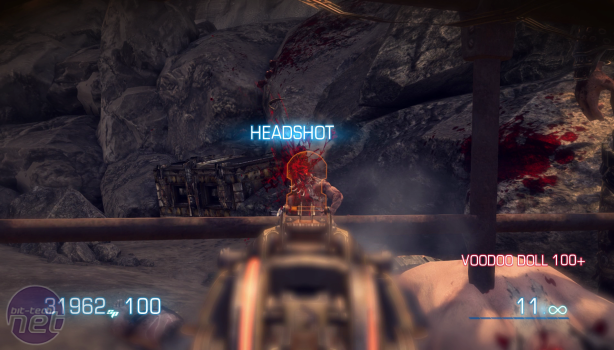 It's those little details that make a game, and here in Bulletstorm: FCE, the little details look sweet. Bulletstorm has aged fairly well, too. In 2011, it seemed like a bold addition to a mass of military-grey shooters, but even though we've taken big steps in terms of making shooters "fun" again, Bulletstorm still has something unique to it: On its surface level, it's a shooter with a variety of powers and weapons where you control Grayson Hunt, a murderous mercenary with very little respect for human life. You can boss through it with an assault rifle, and it'll feel bland and uninspired. Start playing with your environment and paying attention to the scores popping up with every fatality, however, and you start to realise that this is no ordinary shooter, and your enemies aren't merely your adversaries but also your scoring pieces in a high-octane version of solitaire. You see, it's not about doing a murder, it's about doing a murder with style, and every tool in your arsenal is designed to facilitate that. The game should have had a thriving speedrun community where every kick punts an explosive barrel into enemies, each wave of the environment manipulating Leash tosses enemies into wall of spikes or a bottomless pit, and each kill is not just an elimination but a showpiece. But Twitch didn't exist yet, and Youtube wasn't the monolithic swamp of video game content it is now, so this community didn't really spring up. That the game is now getting a second chance to find its audience feels fair and deserved. There's a sense that Bulletstorm doesn't intend to screw up its second coming.